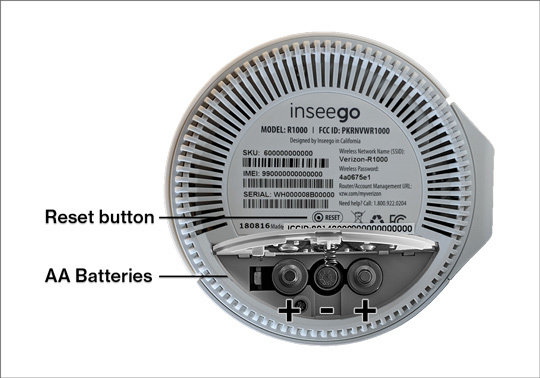 Here's how to find the ports, connectors and buttons your Verizon 5G Home Router or view Indicadores de estado LED. 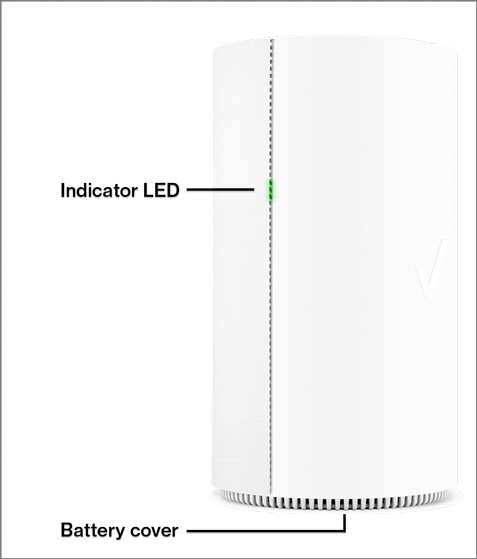 From the front of the router, view the LED status light. 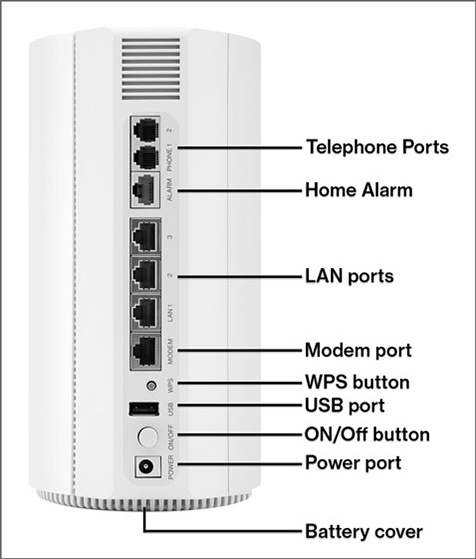 From the back of the router, view the available ports and buttons. From the back of the router, locate the reset button and battery compartment.